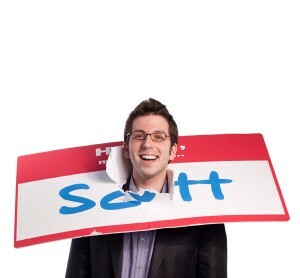 6 Reasons to Add a Little Crazy to Your Entrepreneurial Arsenal - HELLO, my name is Scott! Your mission is to (not only) be nuts, but to BE PROUD of being nuts. No entrepreneur ever looked back on her career and thought, “You know, looking back, I should have been more sane.” How do you respond when people tell you that you’re out of your mind? 2. There’s always somebody crazier. In 2005 I was inducted into the Hall of Fame of Ripley’s Believe Or Not because I made a career out of wearing a nametag 24-7. Now, as crazy as that sounds, my accomplishments are (bordering on) normal when compared to some of the other inductees. For example, Leo Kongee. He’s known as “The Human Pin Cushion,” as his claim to fame is hammering nails into his face. And you think I’m crazy for wearing a nametag everyday? Lesson learned: You’re not the only crazy one. As Jimmy Buffet sang in Changes in Latitudes, Changes in Attitudes, “If we weren’t all crazy, we would go insane.” Are you? Lesson learned: Practice doesn’t make perfect – it makes profit. If you want to turn crazy into money, you’ve got to do a little every day. I’d suggest doing so in the morning to stretch your brain and activate your attitude. How many crazy ideas did you have before breakfast today? 4. Love the haters. Nietzsche once remarked, “And those who were seen dancing were thought to be insane by those who couldn’t hear the music.” Next time people give you flack for being crazy, dust ‘em off. Don’t let the bastards grind you down. Especially if they’re the type of people whose imagination can’t encompass what it is that you want to do. Instead, be grateful for their challenge to your commitment to craziness. How will you use the haters to fuel your fire of insanity? 5. Craziness keeps you sane. Sounds counterintuitive, I know. But it’s true. 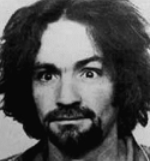 It’s like that U2 song, “I Might Go Crazy If I Don’t Go Crazy tonight.” Ever feel that way? Like you just need to think or say or do something crazy before your head explodes? Good. Next time that happens, go with it. The secret is to compose a craziness practice that you can default to when you need your fix. Whatever active, creative outlet scratches your itch. For example, when I’m in a crazy mood, I go to a concert or sing karaoke. Two perfect venues where it’s completely acceptable (and strenuously encouraged) to be as crazy as possible. Works every time. Except when security escorts me out. Lesson learned: Never underestimate the power of (occasional) manifestations of reckless insanity. Have you taken your dose of Vitamin-C today? 6. Be (positively) crazy. “He’s crazy in the best way possible.” That’s how the UFC 107 announcer introduced fighter B.J. Penn on December 12, 2009. I remember watching the fight in Vegas – it was astounding. Penn defeated Sanchez in round five to retain the UFC Lightweight Championship. More importantly, this victory became one of only two fights in UFC’s sixteen-year history to end in the fifth round. Why? I’d say it was largely due to the fighter’s (positive) craziness. That’s the secret. And there IS a fine line I would be remiss if I didn’t define. Therefore: Being crazy – notwithstanding the benefits I’ve outlined today – won’t be profitable if you’re not doing it for the right reasons. Don’t be crazy just for the sake of being crazy. It won’t sustain you, it won’t nourish you, and it won’t make you money. In fact, it might even get you hurt. What’s your motivation for being crazy? To conclude our discussion on crazy, let’s turn to Gnarls Barkley. I’ve heard it on the radio hundreds of times. I even saw Gnarls Barkley play this very song live in concert. But it wasn’t until I carefully read the lyrics that I discovered just how poignant this song really is. There was something so pleasant about that place. Come on now, who do you, who do you, who do you, who do you think you are, Hahaha bless your soul – you really think you’re in control? Well, I think you’re crazy. My heroes had the heart to lose their lives out on a limb. And all I remember is thinking: I want to be like them. Ever since I was little, ever since I was little it looked like fun. REMEMBER: If you’re not at least (a little) nuts, you’re a putz. How are you profiting from insanity? For the ebook called, “24 Ways to Out GROW Your Competition,” send an email to me, and you win the ebook for free! The world’s FIRST two-in-one, flip-flop book! 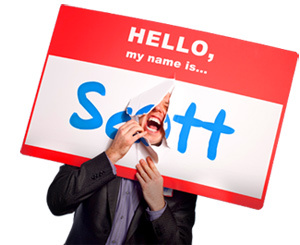 Buy Scott’s comprehensive marketing guidebook on Amazon.com and learn how to GET noticed, GET remembered and GET business! If you're a email person. close this and type a message to me right now! SUBSCRIBE AND ACCESS SCOTT'S BRAIN!